Year round I work from home. I am a professional blogger and a photographer so my home base is also my actual home base. Most of the time that is awesome. I work in my jammies and I watch Fantasy Island while I write. I did have to spend a month going to the chiropractor to get my back in alignment because my couch isn’t an ergonomically correct place to work from. The one time when I lament not having to wear a bra and grown up lady shoes to an office that I commute in traffic to every day is during the summer. There are few things more challenging than getting a single assignment done by using your brain when your kids are arguing over who ate the last Pop Tart (in front of you) and then begging you to do all of the things for them. The entire summer is this really nutty balancing act where I try to get my work done while also trying to maintain my sanity and keep them alive. Every day I fail at one or more of those things and we’ve all decided to just be okay with that. But, that’s not to say I’ve given up entirely. I’ve done what I can to streamline things as much as possible and create systems that help me not entirely lose my mind all of the time. Getting rid of the grocery shopping chore is way up top of that list. 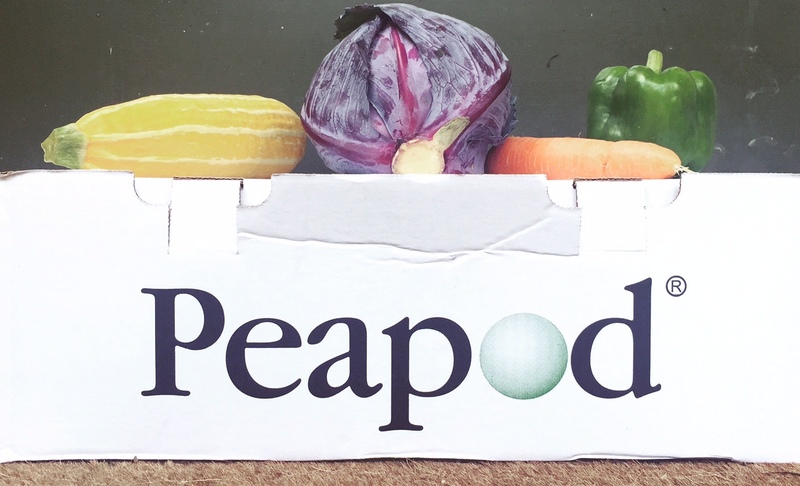 I recently rediscovered the beauty of home grocery delivery via Peapod. I used it constantly when my kids were little (no one wants to grocery shop with a toddler, a preschooler, and an infant), but I gave it up when they all went to school. Why? Why did I do that? I don’t need to waste time and money and effort going to the grocery store! 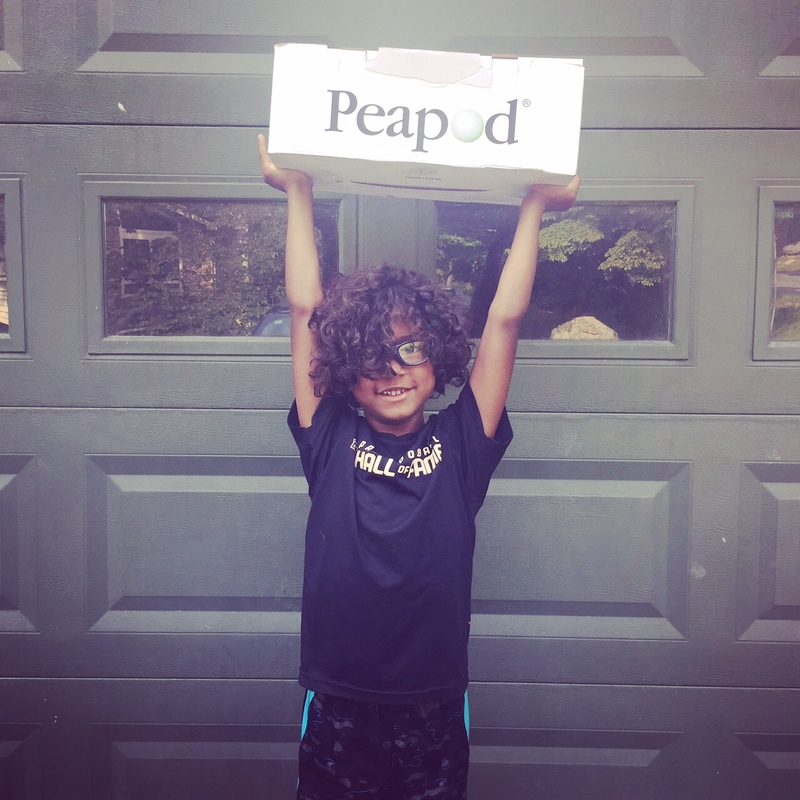 Not when Peapod is there to handle that for me! And for you too! 1. Their new app is easy and awesome. It has photos! And everything is so easy to find. Plus it’s intuitive. It keeps track of your likes and past purchases so that subsequent orders are super easy and quick. Their Order Genius technology practically does the shopping for you. 2. Their delivery fee is probably less than the gas it will take you to get there. Not to mention the extra cash you will spend by being hungry when you shop. I ordered over $100 of food and my delivery fee was $5.95 (they give you discounts if you accept less popular delivery times). 3. They have tons of options. Different brands, all of the sizes. Some things that are hard to come by in store are easier to come by when you order online. 4. Their Local Farm Box is so much happiness. Buying local is such a thing these days and with the Local Farm Box you can rest assured that the items are locally sourced from farms nearby. It’s also cool that you can actually see what will be in it before you decide to order it and you can even take a look at some suggested recipes for using the box each week to help with meal planning! It’s basically like belonging to a CSA but awesomer. 5. We have a $100 gift card for you! There’s really no excuse for not checking it out if we’re giving you the money to do it. Enter for your chance to win below! Disclosure: Peapod sent me a gift card to retry their awesome delivery service, and also gave me one to share with you. The summer chaos described above is all mine. Thanks, Ashley! We’ll double check the subscribe link!